Our library consists of books in both English and Arabic. 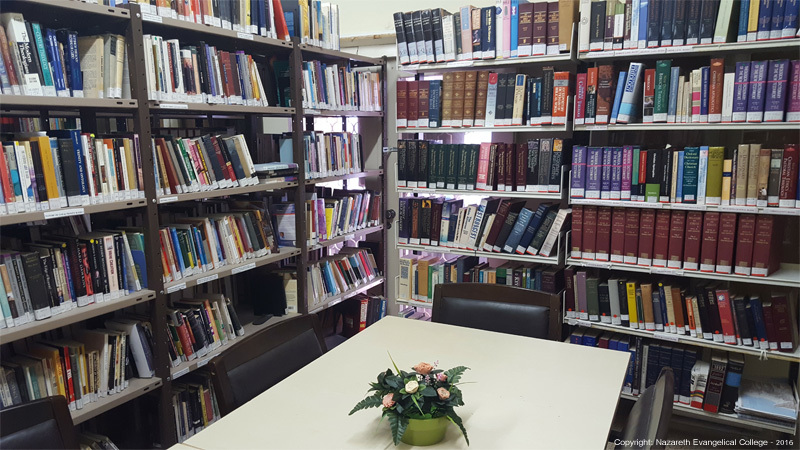 We are in the process of expanding the Arabic section; our goal is to have 6,000 Arabic books that are related to theological and biblical studies. Thus we’ll be serving our students in particular and the locals in general by providing an Arabic theological public library.